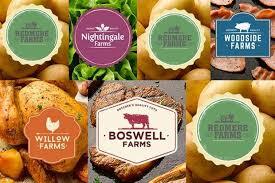 In the UK, Tesco has ditched its ‘Everyday Value’ discount brand in favour of seven fictitious British-sounding farm names, while in Australia, Woolworths abandoned its 33-year-old ‘Homebrand’ generic brand for the new ‘Essentials’. Supermarket chains are letting go of their iconic private label brands to address perception of inferior quality. Both ‘Everyday Value’ and ‘Homebrand’ essentially conveys the no-frills image but with the improving economy and consumers upgrading to better quality products, it is now the time to revisit their private label strategies to improve the quality image. Both chains are competing with the German discounter Aldi. 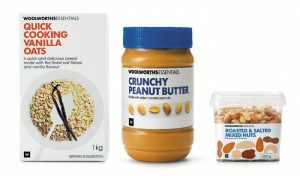 Woolworths claims the introduction of Essentials is to fight the perception that consumers can get better quality at Aldi. The problem with Tesco and Woolworths is the use of ‘no-name’ private label strategy featuring plain packaging to infer low price. In contrast, Aldi’s low-price private label mimics nationally branded products through the use of brand names. The Aldi approach gives it the advantage of brand and price. Aldi’s strategy has proven to be superior. The 2014 Roy Morgan survey in Australia revealed Aldi shoppers were willing to buy more store’s own products than well-known brands. In Malaysia, the mimicking brand name approaching is being adopted by GCH Retail. The retailer that operates Giant and Cold Storage has introduced exclusively imported products under brand names such as Sun Harvest, Papa Alfredo and Vita Pet. As the quality of private label improves to be on par with national branded alternatives, the once ‘cheap and nasty’ private label perception will change. That is the time when retailers need to rethink their ‘no-name’ private label strategy.